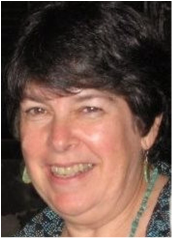 Judy has been the Director of The Institute for Labor Studies since 1988. She teaches many of ILS's classes and especially loves teaching labor history, leadership and mobilization, and global economic issues. She has a B.A. from Stanford and M.A. in History from C.U.N.Y. She began teaching in community colleges in the 1970s. She has also worked in an electronics factory and a pump factory where she was a lathe machinist. She has been an activist all her life and a union activist and organizer in both the United Steelworkers and American Federation of Teachers. She coordinates The Heartland Labor Forum, labor's radio show in Kansas City on Community Radio KKFI 90.1FM. She is President of the Board of Directors of The Cross Border Network for Justice and Solidarity, a non-profit organization which develops ties and mutual understanding between working people in the Kansas City area and maquiladora workers in Mexico and educates about immigration in the global economy. She has also served on the Executive Committee of The Coalition for Justice in the Maquiladoras, a San Antonio-based tri-national non-governmental organization which educates and advocates on maquiladora worker issues. She has one daughter, Carrie, who is now grown and independent. Melissa studies economics with a focus in labor studies at the University of Missouri - Kansas City. She applies her education in analyzing the impact of trade agreements on human rights, domestic policy on workers and the intersectionality of global movements. She is a civil and workers rights activist and former organizer with the AFL-CIO, where she managed campaigns in Missouri, Minnesota, and Nevada. Melissa has been active in the Kansas City community since relocating here in 2010, where she has spent her time organizing around issues of economic inequality and empowerment of marginalized communities. While serving as the Cross Border Network's Vice President, Melissa created the first ever LGBTQIA focused human rights delegation to Honduras.